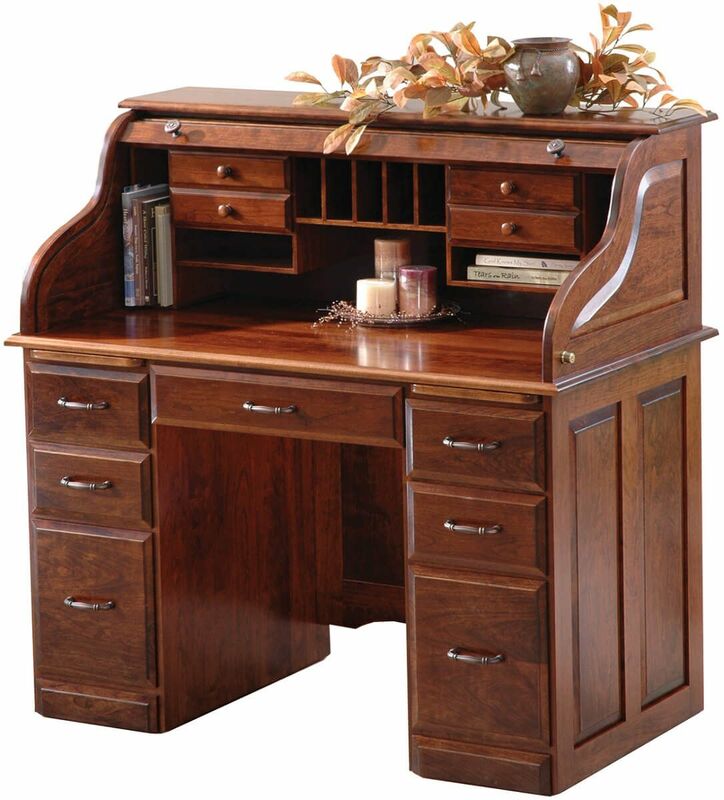 Our clever Treasurer's Roll Top Desk is efficiently compact, making it a charming addition to nearly any room. Start designing your desk online today. Pigeon holes, cubbies, open shelves, dual writing boards and even an adjustable legal or letter file makes your office work quick and easy. Available in a convenient 48" width, the Treasurer's Roll Top Desk offers a condensed work space keeping all of your files and supplies close at hand. Keep the standard central pencil drawer, or upgrade to a full extension keyboard pullout. Custom-built by our skilled Amish craftsmen, this roll top is shown in our solid Cherry hardwood with a hand-rubbed Christmas Cloves wood finish. For a modern take on this vintage piece, consider a Brown Maple with a dark contemporary finish.